Over a third of the people in Ft. Lauderdale have a cracked or broken tooth or filling. In these situations, Dr. Stone usually recommends the most conservative and least costly treatment available which also offers a permanent or long-lasting solution. Typically, a crown fits all these requirements. Trauma injuries, like a fall or a sports injury, cause most broken teeth. Sometimes, disease is the culprit. Other times, it is a little of both. Disease weakens a tooth and leaves it more vulnerable to a trauma injury. Typically, the cost of a tooth crown is between $500 and $3,000. That’s a significant price range, and some of the variables are outlined below. That’s also a significant investment, even at the low end. But a crown means more than a prettier smile. Crowns also prevent further tooth decay and have some other oral health benefits. 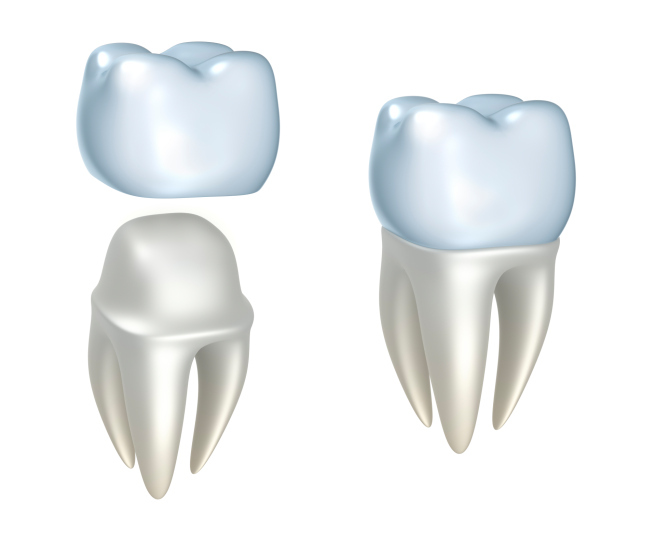 What Affects the Cost of a Tooth Crown? Material greatly affects the cost of a tooth crown. Reinforced ceramic crowns are more expensive, because they look exactly like your natural teeth. Metal crowns are the east costly tooth crowns, because they look nothing like your natural teeth. Other materials, such as dental resin and zirconium dioxide crowns, are somewhere in the middle. Insurance affects your out-of-pocket costs as well. As mentioned, crowns are not just cosmetic. For that reason, if you approach them in the right way, many insurance companies will pay for at least part of the procedure. Furthermore, many dental plans have very long waiting periods for crowns and other mostly cosmetic procedures. In our experience, many insurance companies pay for about half of a crown, since that is usually the longest-lasting solution with the most oral health benefits. Sometimes, Dr. Stone must perform additional procedures, such as advanced X-rays or tooth shaping. Advanced X-rays spot the tiny chips that other X-rays miss, and it’s sometimes necessary to file the tooth so the crown fits properly. Finally, non-dental factors affect the cost of tooth crowns. Over head is higher in urban areas, so these prosthodontists must charge more than their rural colleagues. Also, some professionals are more experienced than others. You can save money if you go to an inexperienced dentist, but that’s obviously a gamble. On a similar note, some prosthodontists discount their fees to attract patients, while others have full waiting rooms and do not need to resort to such tactics. 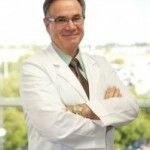 Dr. Stone teaches dental implant therapy to dentists in two different locations: Atlantic Coast Dental Research Clinic at Palm Beach College and Broward Dental Research Clinic at Broward College. He is a specialist in tooth replacement, a Prosthodontist, and has been placing dental implants surgically since 1991. It may be best to shop around a little, but don’t wait too long. Long delays often mean that Dr. Stone, or any other prosthodontist, must use more invasive and costly measures, like a dental implant. Dental crowns may be the most cost-effective way to address a chipped or broken tooth. Crowns are also the most non-invasive corrective procedure available in these cases. To make your mouth healthier and more attractive, call Dr. John Stone at Best Dental Associates for your initial appointment.